Description : RUNNER+ is a site for runners and joggers who want to achieve more through community and technology. 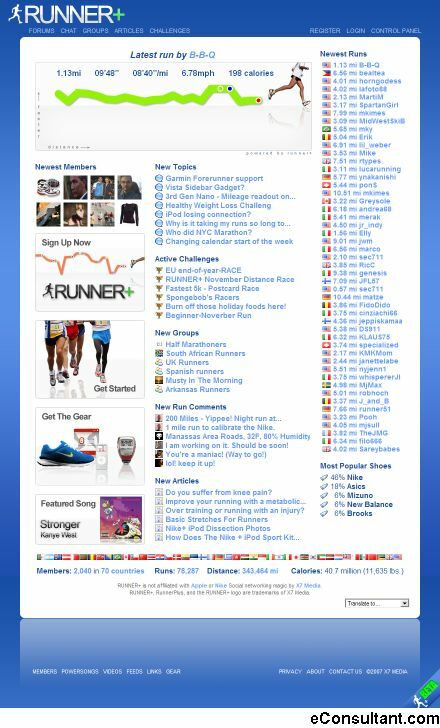 RUNNER+ provides a thriving forums area, groups, member tips and advice, videos, a blog with the latest news, and more. If you use running systems such as the Nike+ iPod Sport Kit, then you will benefit even more.